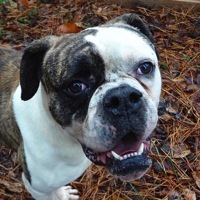 - Kentucky American Bulldog Rescue - ADOPTIONS - Rescue Me! HI, I am Rowdy, a 56-pound American Bulldog mix. I am good with most other dogs, love people, including children.